We plan a stop in Bend Oregon every year – CoachMasters, a Bend RV service center is an annual visit for us. In addition to a great RV service stop, Bend is a fun town with wonderful outdoor recreation…. and a great side-bonus of excellent beer, a fun downtown with great food and many good RV parks! Every visit to Oregon includes a stop at nearby state parks to scope out potential hosting opportunities. During our visit to Bend, we stopped at Smith Rock, Cove Palisades and the Ogden Viewpoint. As usual, great State facilities. We enjoyed each one! Cove Palisades is a large State Park, centered around water activities to include jet skiing and boating. Lake Billy Chinook lies in canyons carved by the three rivers into earth held in place by basaltic caprock. The Confederated Tribes named the lake in honor of Billy Chinook a member of the Wasco tribe who acted as a guide in 1843 and 1844 for John Fremont & Kit Carson in the region of the lake. The lake extends beyond the boundaries of The Cove Palisades State Park. Lake Billy Chinook offers water recreation activities in season. Smith Rock is generally considered the birthplace of modern American sport climbing and is host to cutting-edge climbing routes. There is sport climbing, traditional climbing multi-pitch climbing & bouldering. The park contains the first U.S. climb rated 5.14 (8b+). The area is well known for its challenging climbing routes so eventually all top climbers visit. In 1983, Allan Watts began to use sport climbing ethics which pushed American climbing to new levels. Shortly after, between 1992 and 2009, about 500 new climbing routes were added. This brought climbers from all over the world as Smith Rock became the world capital for sport climbing. The park still attracts climbers from all over the world. In addition to the world-famous rock climbing, Smith Rock State Park is host to many miles of hiking trails, the meandering Crooked River and views of the volcanic peaks of Cascade range. 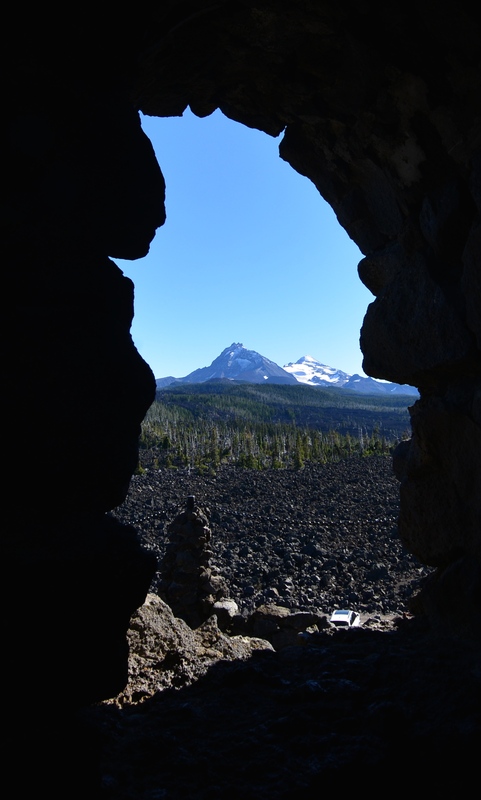 In addition to Smith Rock & Cove P, a lovely scenic viewpoint may be found North of Bend off of Route 97 – the Peter Ogden Scenic overlook – named in honor of Peter Ogden who first entered the Crooked River Valley while leading a Hudson Bay Company trapping party in 1825. 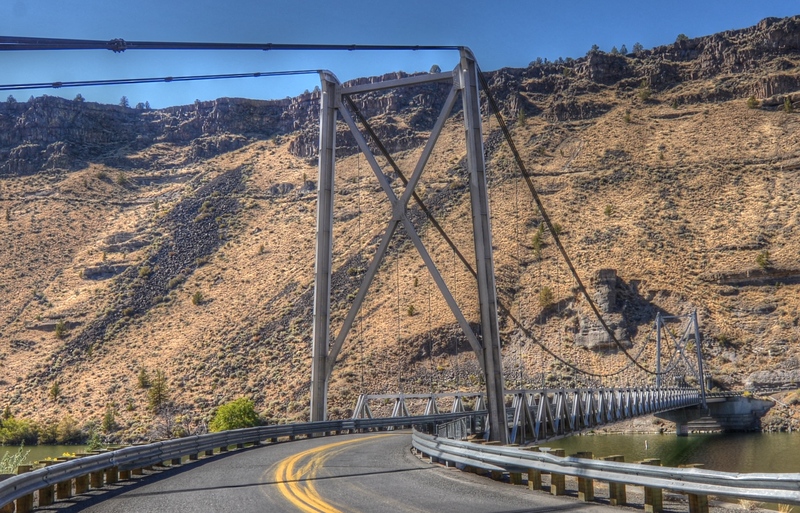 Three bridges may be found at the Overlook – the Crooked Rived Railroad Bridge, Crooked River High Bridge & the Rex T Barber Veterans Memorial Bridge. Although no mention is made at the park itself, it was also the site of one of Oregon’s sensational murders which led to the conviction of Jeannace June Freeman of first degree murder. She was the only woman ever sentenced to death in Oregon, a conviction that was upheld by the Oregon Supreme Court – she was not executed. 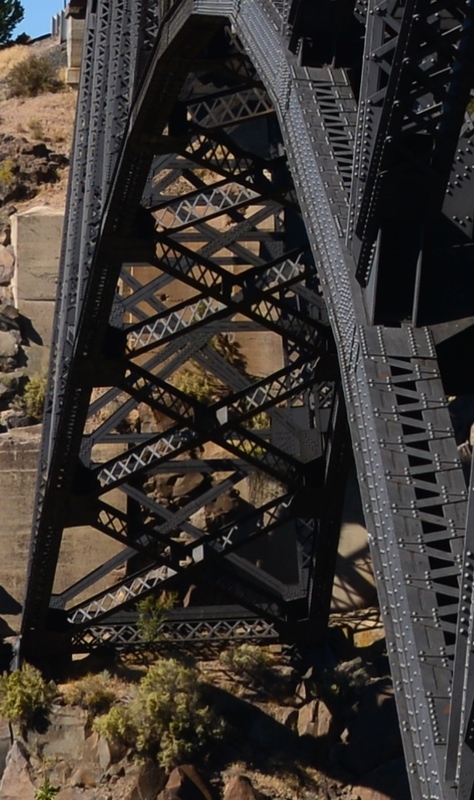 The Crooked River Railroad bridge was designed by bridge architect Ralph Modjeski who also designed the San Francisco-Oakland Bay Bridge. The Missouri Valley Bridge & Iron Company built the bridge by cantilevering it out from rock walls on both sides of the canyon. Jim Hill of the Great Northern Railway started up the west side of the Deschutes while the Des Chutes Railroad, owned by Union Pacific, started up the east side. At North Junction, approximately 65 miles south of the Columbia River, Hill’s Oregon Trunk crossed over to the east bank. At 126 miles both railroads would have had to cross a major tributary of the Deschutes, the Crooked River. 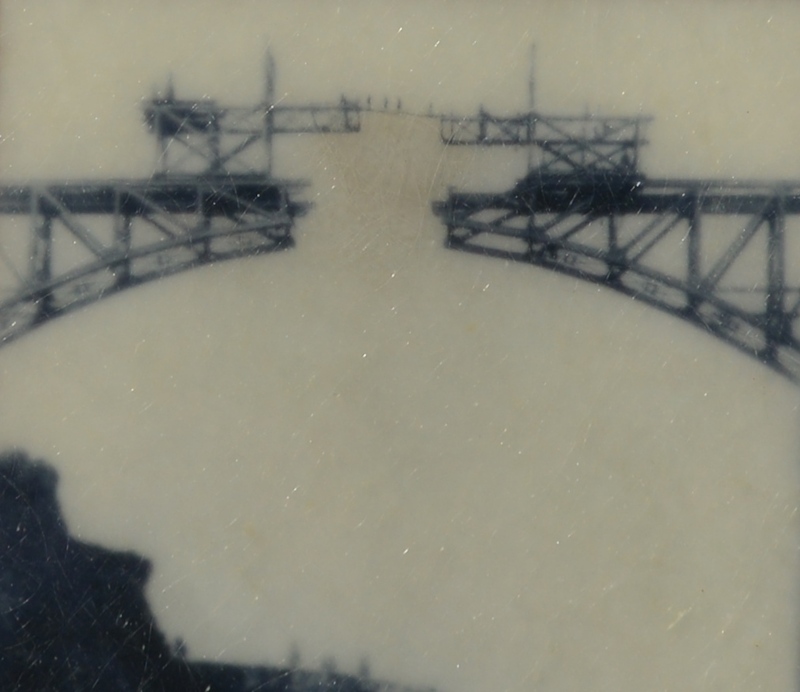 There was only one place where the cliffs on both sides were close enough to build a bridge. Jim Hill had obtained the rights to the location when his Oregon Trunk Railroad acquired the Central Oregon Railroad Company on December 1, 1909. 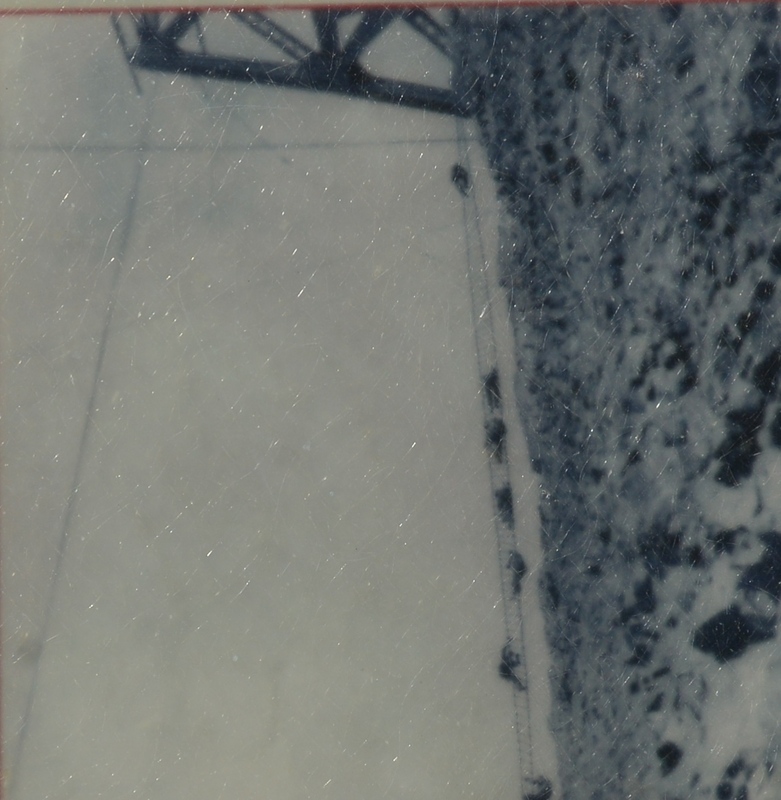 Men climbed down rope ladders to attach cables to the steel beams and the steel was hoisted back up both sides of the canyon as the beams were needed. The first train crossed the bridge only four months later on September 17. Half the rivets holding the bridge together were installed after trains started using the bridge. The bridge was built quickly to facilitate laying the last 25.5 miles of track to Bend where Jim Hill drove the “golden” spike on October 5. 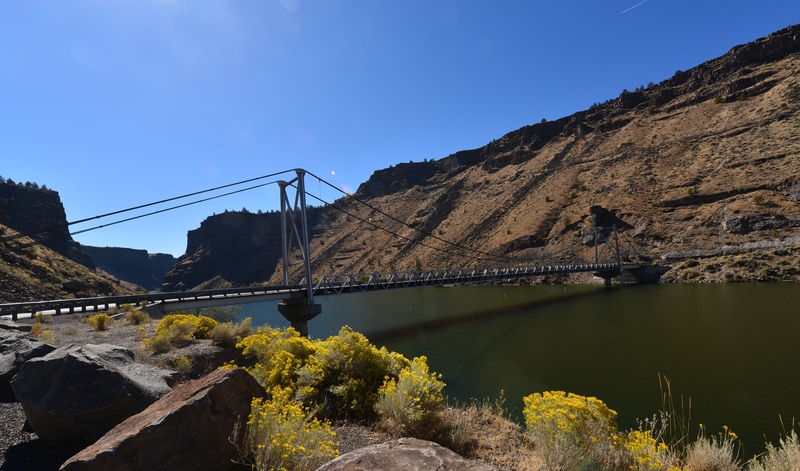 The Crooked River High Bridge is a steel arch bridge designed by Conde McCullough completed in 1926. Shortly after its completion, Oregon State Highway Division built the Peter Ogden Park just to the south of the bridge. The bridge has a total length of 464 feet with a main span of 330 feet. The deck is 295 ft above the canyon floor. The bridge was eventually unable to keep up with the growing traffic demands of State Route 97 and was replaced by the wider Rex T Barber Veterans Memorial Bridge. The old bridge is open to pedestrians. Bend never fails to delight and entertain us – and these new discoveries just make Bend that much Better!